There will 03 awards for three best presentations during 'Plenary Session'. There are 5 awards for 5 best poster presentations. ( inasl.secretary@gmail.com) to become eligible for this award. Prof. SR Naik was born in Goa in 1943. After receiving his medical training at the Maulana Azad Medical College in New Delhi, he joined the Postgraduate Institute at Chandigarh in 1973 as Lecturer in Tropical Medicine. In 1982, he moved to KEM Hospital in Mumbai as a Professor in the newly established Department of Gastroenterology, which he helped set up. In 1987, he moved yet again this time to Lucknow to set up the Department of Gastroenterology at this institution, where he worked till his untimely death in 2002 at a young age. 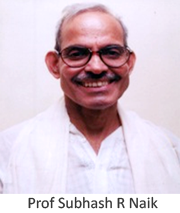 Dr. Naik was an excellent gastroenterologist, teacher and researcher. His major areas of interests were viral hepatitis (in particular, hepatitis E and B), chronic liver disease, subclinical hepatic encephalopathy, gastrointestinal physiology, mal absorption and gastrointestinal infections. He was the editor of Indian Journal of Gastroenterology, a peer-reviewed indexed journal, for 12 years. The SR Naik Oration was instituted by the Indian Association for Study of the Liver in the year 2003 to commemorate the memory and contributions of Prof. Naik. The first oration was delivered by Dr. G Farrell and this year’s oration will be delivered by Dr. Arun Sanyal. 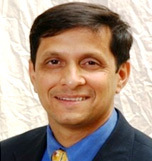 Arun J. Sanyal, M.D., is a Professor of Medicine and Chairman of Gastroenterology Division of Virginia Commonwealth University (VCU) Medical Center in Richmond, Virginia. Topic: Emerging trends in the assessment and treatment of NASH. 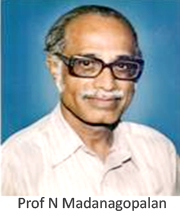 Born on 25th October, Prof N Madanagopalan obtained his MBBS degree in 1955 from Stanley Medical College winning medals, prizes and certificates of honour in most subjects and achieved the First rank in the University of Madras. He passed MD in Medicine in 1959 and received MRCP (Edinburg) with alimentary diseases as a special subject in 1960. On returning to India he joined his parent department of Medicine at Govt. General Hospital, Madras and established the Department of Gastroenterology in Madras Medical College in 1971. The symbiosis of passion for research (viral hepatitis, hepatocellular carcinoma, subacute hepatic failure, Coarctation of Inferior Vena Cava, role of adulterants of edible oil and tea leaves as cocarcinogens for HCC and adulteration of edible oil with rubber seed oil as cause for increasing prevalence of Chronic calcific pancreatitis) and his zeal for teaching enabled him to probe into unsolved problems spanning the spectrum of epidemiological, clinical and investigative aspects in gastroenterology. This culminated in over 200 publications. The N Madangopalan Oration was instituted by the Indian Association for Study of the Liver in the year 2003 to commemorate the memory and contributions. This year’s oration will be delivered by Dr. Vivek A Saraswat. Vivek A Saraswat , M.D, D.M, is a Professor and Head of the Department of Gastroenterology at Sanjay Gandhi Postgraduate Institute of Medical Sciences (SGPGIMS), Lucknow, Uttar Pradesh, India.